$65.00 plus tax. Free city-wide delivery. 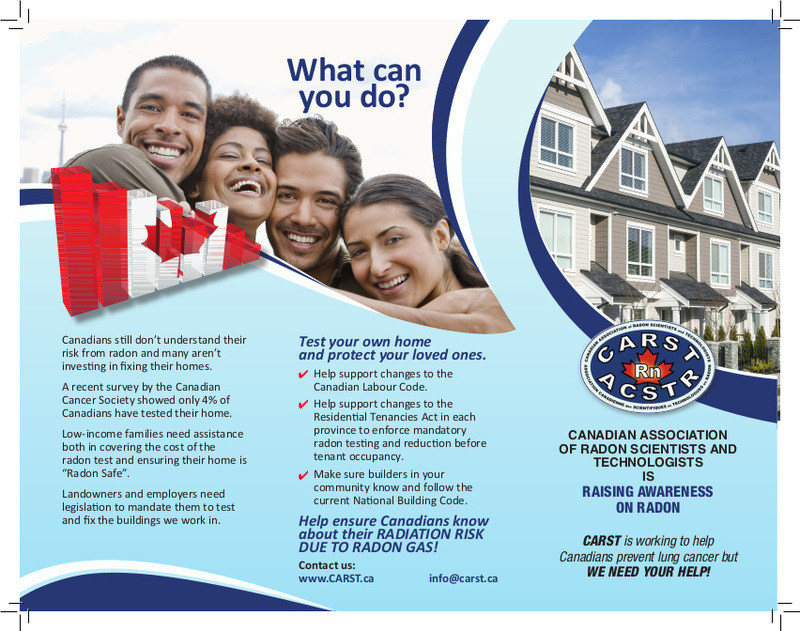 Recent research found that only 29% of Canadians with high radon in their home took action to reduce it! 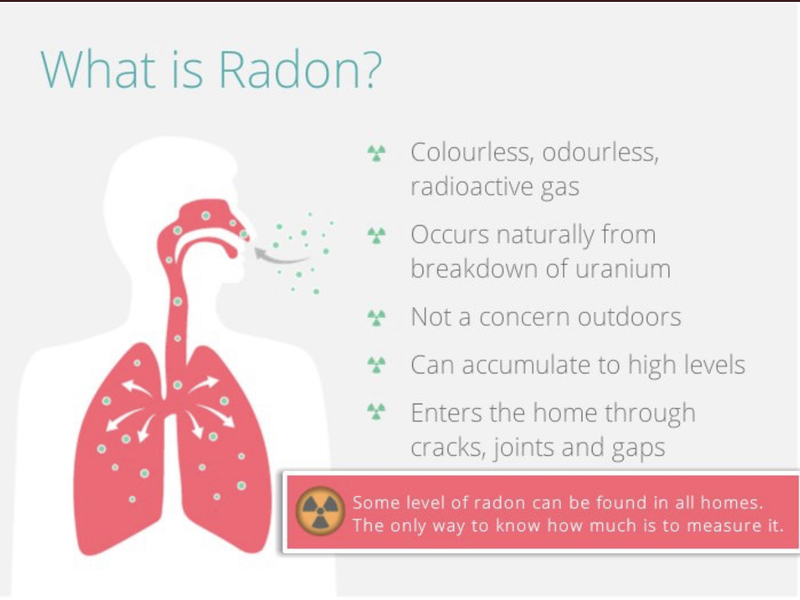 Radon is a radioactive gas found naturally in the environment and is found across Canada. It is produced by the decay of uranium found in soil, rock or water. 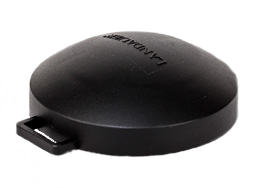 Radon is invisible, odourless and tasteless and emits ionizing radiation. 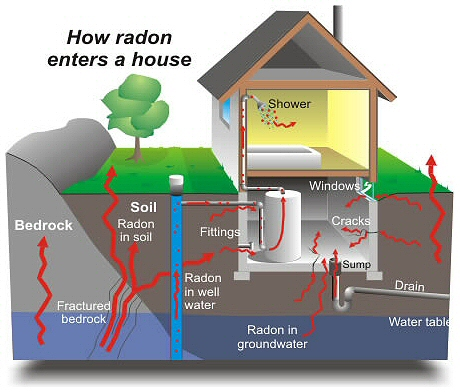 As a gas, radon can move freely through the soil enabling it to escape to the atmosphere or seep into buildings. Radon levels are generally highest in basements and crawl spaces because these areas are nearest to the source and are usually poorly ventilated. Radon varies from home-to-home, building-to-building so just because your neighbor tested and has low levels, that doesn't mean your home isn't affected by radon. Some amount of radon is found in almost every home, but concentration levels will vary from one house to another, even if they are similar and next door to each other. Radon can enter a home any place it finds an opening where the house contacts the soil: cracks in foundation walls and in floor slabs, construction joints, gaps around service pipes, support posts, window casements, floor drains, sumps or cavities inside walls. The only way to know if you have radon in your home, school, daycare or workplace is to TEST, TEST, TEST! Newly constructed homes in Manitoba after 2013 were required by law to rough-in for future radon ventilation but that does not mean those homes are deemed radon free. This just means those homes are ready for testing and mitigation if their levels are found to be elevated. A Health Canada study confirmed radon levels vary significantly across the country. Manitoba, New Brunswick, Saskatchewan, and the Yukon had the highest percentages of participants homes which tested above the radon guidelines. Some of the highest levels were measured in Manitoba. Exposure to 400 Bq/m3 of radon for 8 hours is considered by radiation scientists to be equivalent to smoking a pack of cigarettes every day. Cancer. Exposure to high levels of radon in indoor air results in an increased risk of developing lung cancer. The risk of cancer depends on the level of radon and how long a person is exposed to those levels. 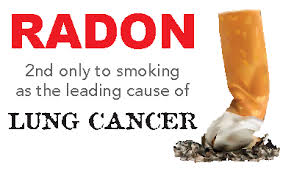 Exposure to radon and tobacco use together can significantly increase your risk of lung cancer. We like to use this example of how radon can directly affect your health: For example, if you are a lifelong smoker your risk of getting lung cancer is 1 in 10. If you add long term exposure to a high level of radon, your risk becomes 1 in 3. On the other hand, if you are a non-smoker, your lifetime lung cancer risk at the same high radon level is 1 in 20. There are two options for testing a house for radon: to purchase a do-it-yourself radon test kit from your local hardware retail store or purchase from our office where we will guide you through the process. We offer a service like no one else. Once you have visited our office and purchased your test kit for $65.00 plus taxes, we commit to you that we are accountable for follow up testing post 90 days. We will pick up your radon test from your home after you have completed your long-term (90 day) test and deliver to a 3rd party, non-biased testing company for testing results. If you choose to purchase a radon test kit (sample of a test as shown above) from your local hardware retail store, you must closely follow the instructions on how to set up the test and send it in by mail for testing results. Once you receive those results, please feel free to contact our office for further information, guidance or advice. All test results are handled by a 3rd party company - Pinchin Ltd. for non-biased, accurate results. What do I do if my radon test shows higher levels of radon present in my home? You will want to hire a certified contractor. Health Canada recommends that the contractor be certified as a radon mitigation professional from an accredited organization. 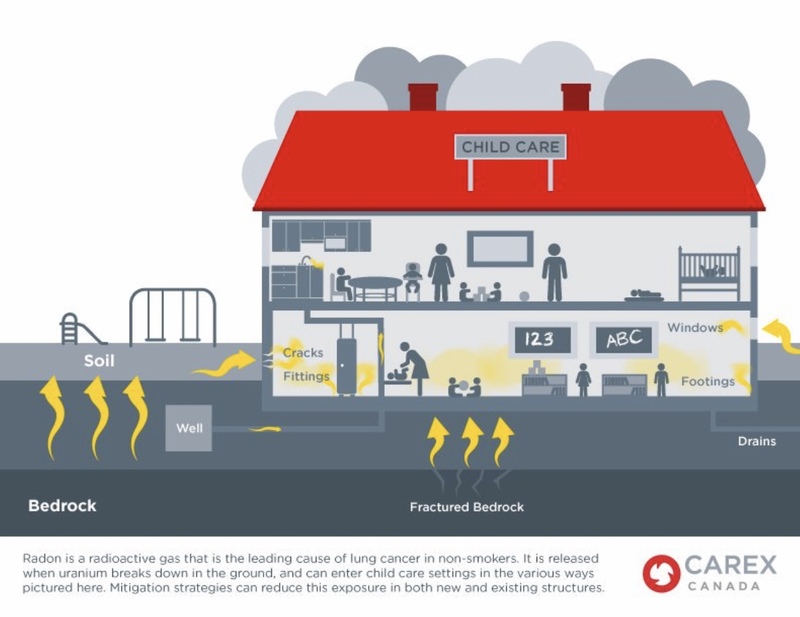 Health Canada recognizes the Canadian certification program, Canadian National Radon Proficiency Program (C-NRPP). Our company is certified and and registered with the C-NRPP program. We offer complimentary in-home site inspections to really assess your home and all components involved prior to providing you with a quote. 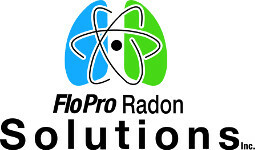 We take pride in meeting with our clients first, to try our best to address their questions and concerns and informing them of the risks associated with radon and also how our systems are uniquely custom designed. We feel that most of our clients really appreciate the time we spend with them first, by having conversations about how we plan to assist them. 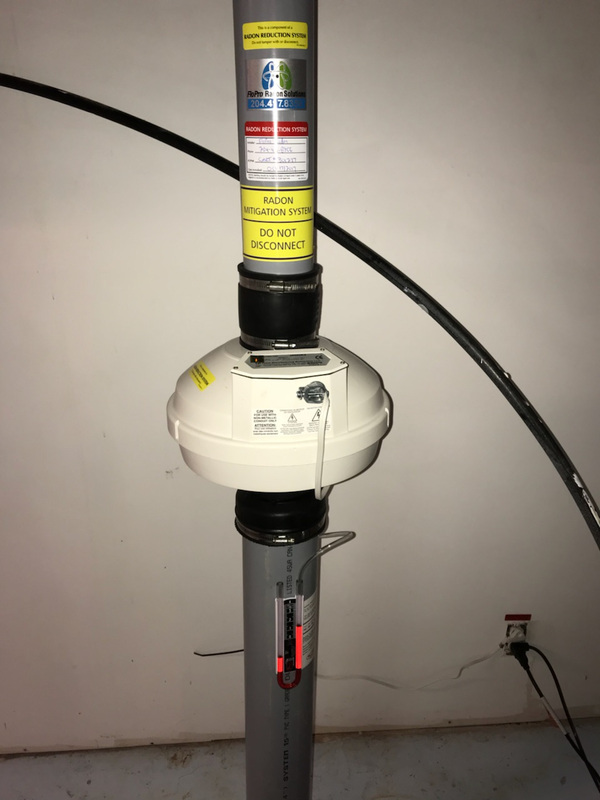 On some occasions, we have been able to lower the radon levels without installing a radon mitigation system, which in turn, reduces the costs of remediation. Our certified, professional contractor has an extensive journeyman background in plumbing and mechanical and has been working on radon and within the radon industry and education for many years. Some of our past clients include scientists, doctors, medical specialists and cancer survivors. We strive to help people live in healthy homes and continue to push education, knowledge and understanding towards a health risk that too many people have ignored or are still not aware of in this day and age. 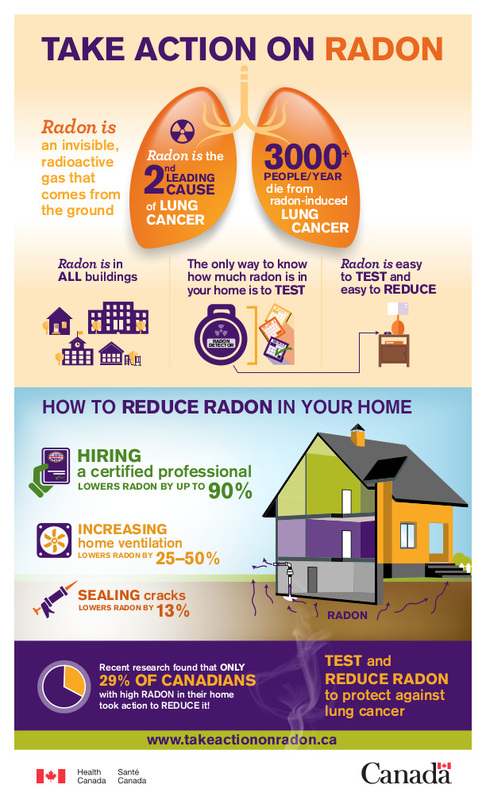 Take the necessary steps for testing and reducing radon by following this link for homeowners. Join us in Ottawa for the 7th annual CARST 2018 radon conference, April 22 – 24, 2018. 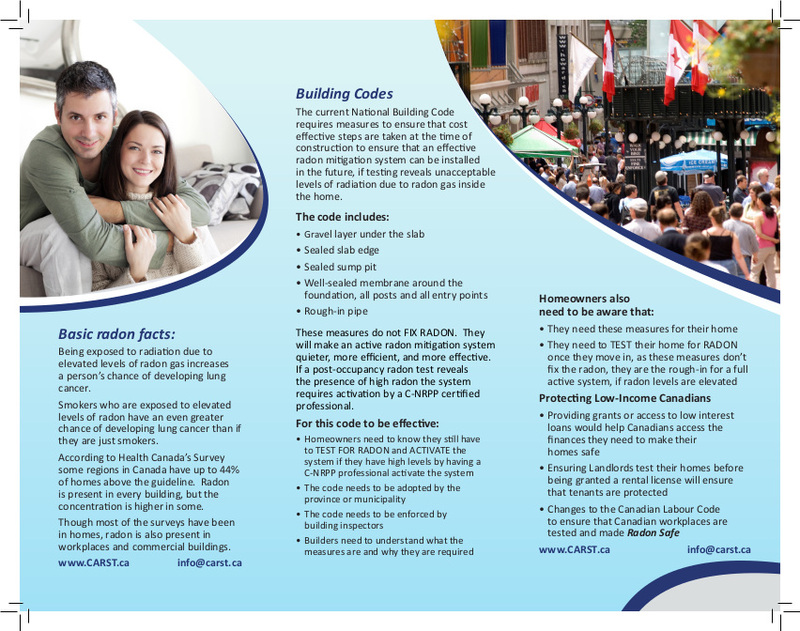 Did you know that in some provinces, if your home has high radon levels, that it is considered a structural defect?